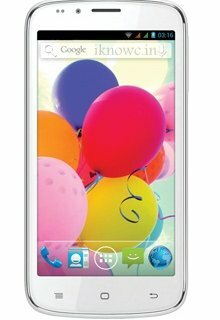 Videocon has introduced a new Quad-core android smartphone with 5.3 inch display, the Videocon A54. The company has also revealed the Videocon A48. The A54 would compete with Gionee Gpad G2 ( check out our unboxing and Review ), Panasonic T11, P11 and Intex Aqua HD. Gionee will soon launch Elife E6 in India. The A54 comes with nice features and specifications. It has 5.3inch qHD (960×540 pixels ) resolution display, 1.2GHz quad-core processor integrated with 1GB of RAM, Dual SIM with Dual Standby and runs on Android 4.1 Jelly Bean OS. It features 3G (3.75G), WiFi, Bluetooth v3 with A2DP, GPS / A-GPS and FM radio. It comes in Gray and white colors and it is 10.2mm thick. The A54 has 4GB of ROM / internal memory and expandable memory up to 32GB. It packs with 8 megapixel primary camera with Flash and 1.3MP front facing camera. The A54 also has G-sensor, Ambient light sensor and proximity sensor. To power the handset there is 2500mAh battery which will surely long last and is fair for the 5.3inch Display. Pricing, Launch date of Videocon A54 are unknown at the movement.